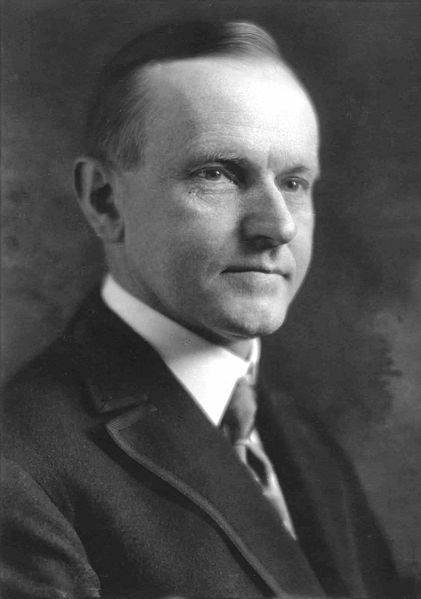 Calvin Coolidge learned that President Harding had died at 2:30 AM while he was on a vacation in Vermont. He and his wife dressed and then knelt in prayer together. The local justice of the peace swore him into office. Early in his term, he would lose his sixteen year-old daughter to blood poisoning. In his autobiography, he would speak of the “power which moves restlessly that justifies our faith,” and go on to reveal their faith had a profound impact on he and his wife. He would not run for a second term, despite his popularity. Unless we cling to the things of the spirit, all our material prosperity, overwhelming though it may appear, will turn to a barren scepter in our grasp. If we are to maintain the great heritage that has been bequeathed to us, we must be like-minded as the fathers who created it. We must not sink into a pagan materialism. We must cultivate the reverence which they had for the things that are holy. We must follow the spiritual and moral leadership which they showed. We must keep replenished, that they may glow with a more compelling flame, the altar fires before which they worshiped. Herbert Hoover was the Secretary of Commerce in the Coolidge administration, and the first Quaker to serve as president. He publicly asked for “the help of Almighty God” in governing the nation – and he needed it. 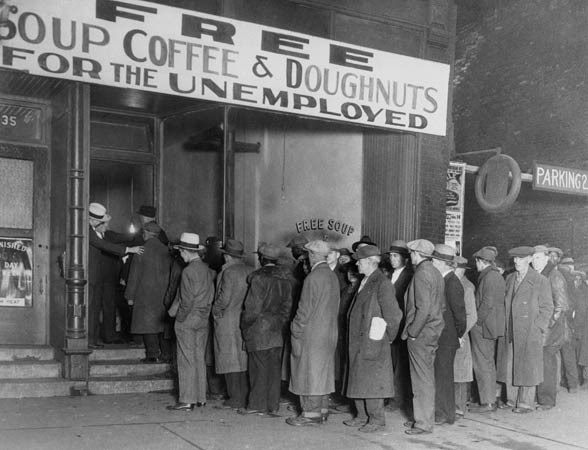 After the crash of the stock market in 1929, things seemed to spiral out of control Banks closed everywhere. Jobs were beyond scarce. It was indeed – the great ‘depression.’ The optimism of the 1900 era was gone. Thin soup and a crusty piece of bread was a welcome site. Hobos multiplied. Fathers left families looking for work and some never returned. Kids were loaned out to relatives in better financial shape. A place to sleep and a few hours of work was heaven. A dime made you rich for a day. Many churches that had overbuilt or were in debt closed in this season, most did not grow. There was an exception. Most historians referred to holiness-Pentecostal churches as ‘sects’ and note that those churches grew during this era. They preached of a prayer answering God, a faith that believed in miracles and offered hope. They survived in store-front buildings and gave birth to new congregations out of tents or brush-arbors. From 1929 to the early ‘40s, at least one Pentecostal denomination tripled the number of their congregations and almost tripled their membership. Eugene Lyons, Herbert Hoover: A Biography (Norwalk, CT; Easton Press, 1964), 323. Very appropiate for this present Day situation and encouraging to those believers who are struggling to keep up theier spiritual values above all! Thank you for the valuable information. Shalom!